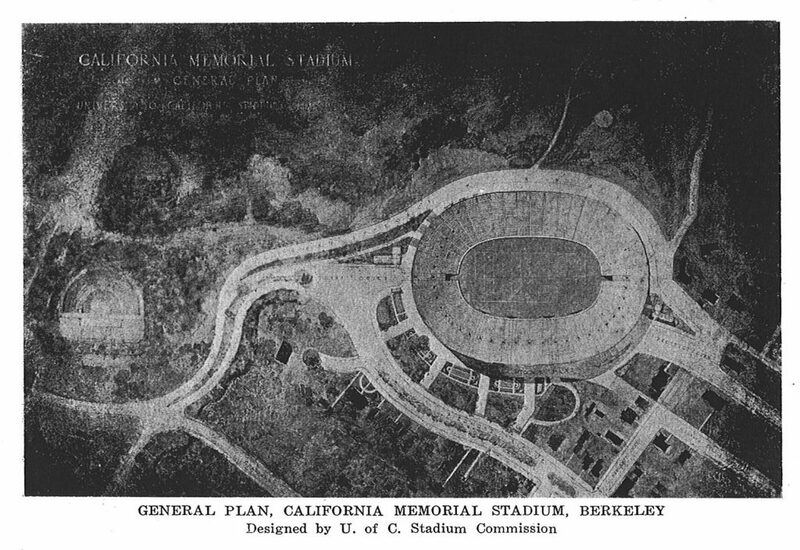 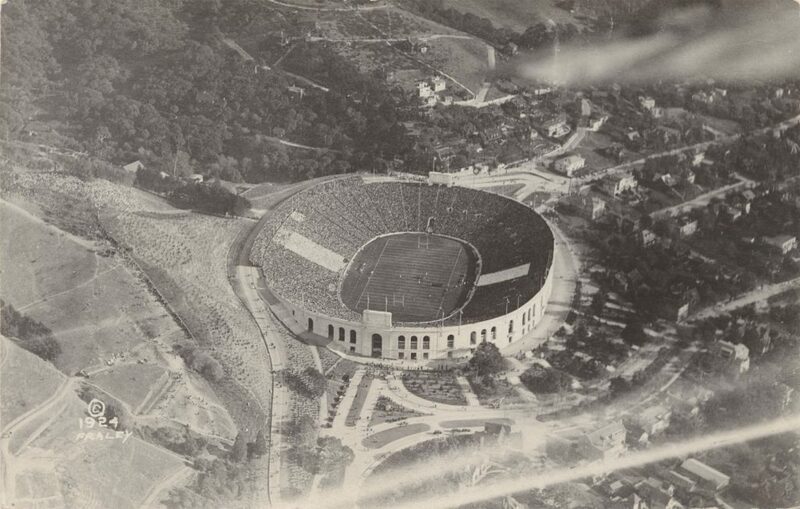 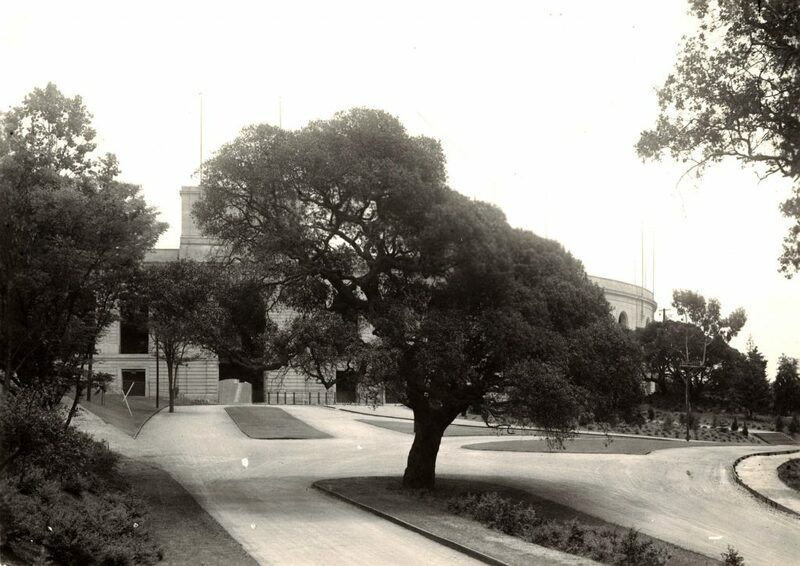 Designed by John Galen Howard and completed in 1923, California Memorial Stadium at University of California Berkeley is a grand Beaux Arts structure whose dimensions “slightly exceed the great Coliseum of Rome,” according to David Barrows, then-president of the University of California. 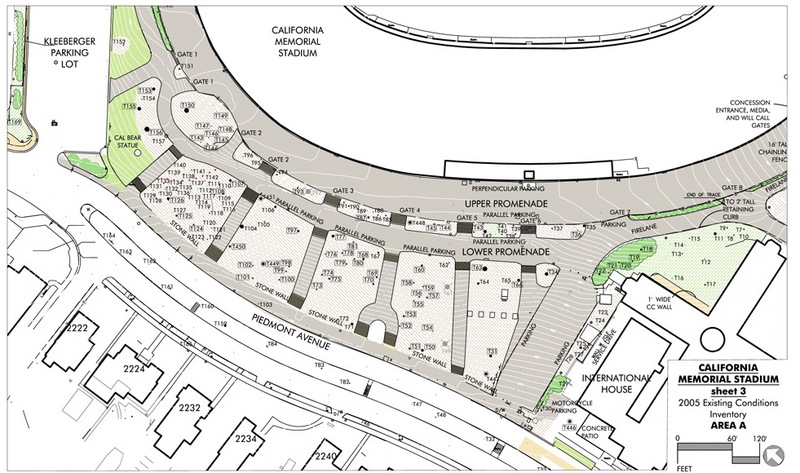 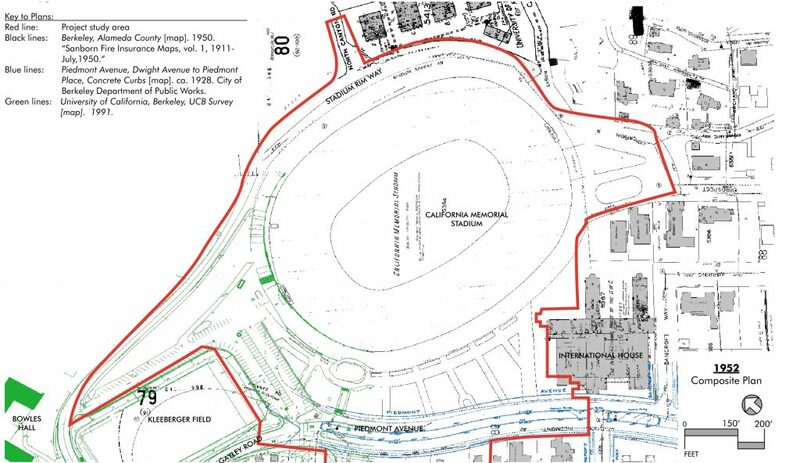 In preparation for planned seismic and expansion projects for the stadium, PGAdesign was chosen for a key role in preparing two Historic Landscape Reports and to contribute to seven Historic Structures Reports for nearby buildings. 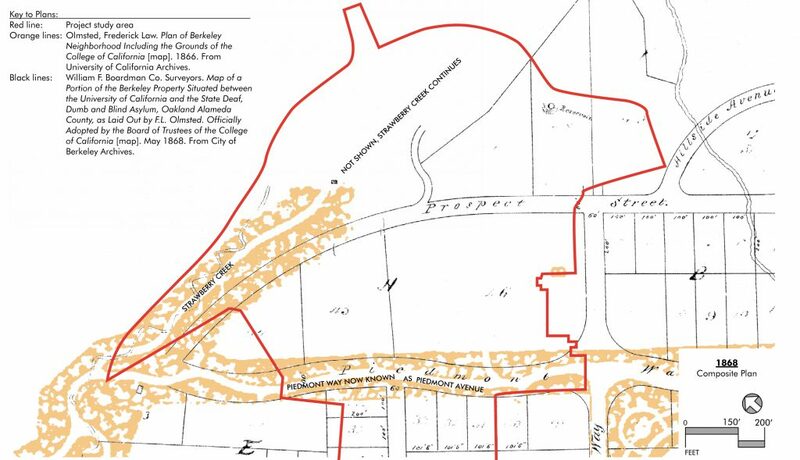 Our research revealed several previously undiscovered portions of the historic landscape, which allowed their significance to be evaluated. 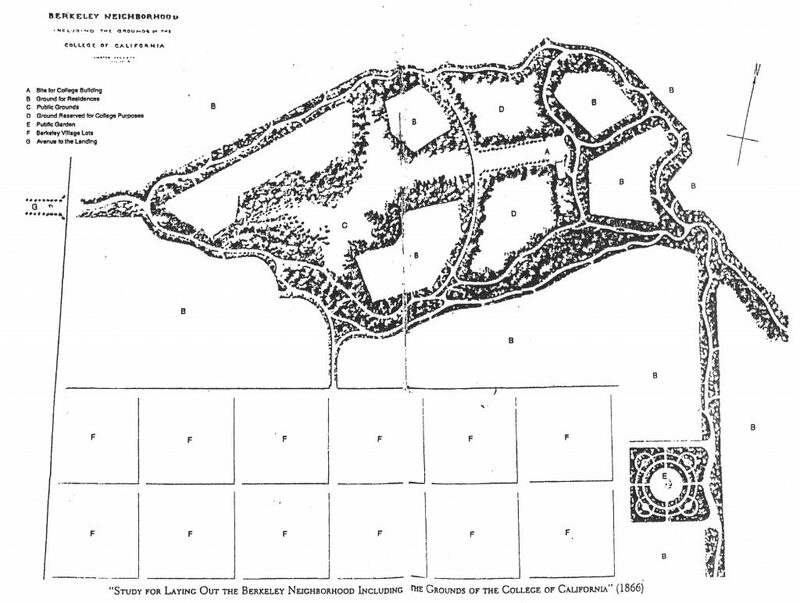 PGAdesign drew on its wide-ranging knowledge of landscape history and characteristics to create five period plans that illustrate the introduction and evolution of each significant landscape feature. 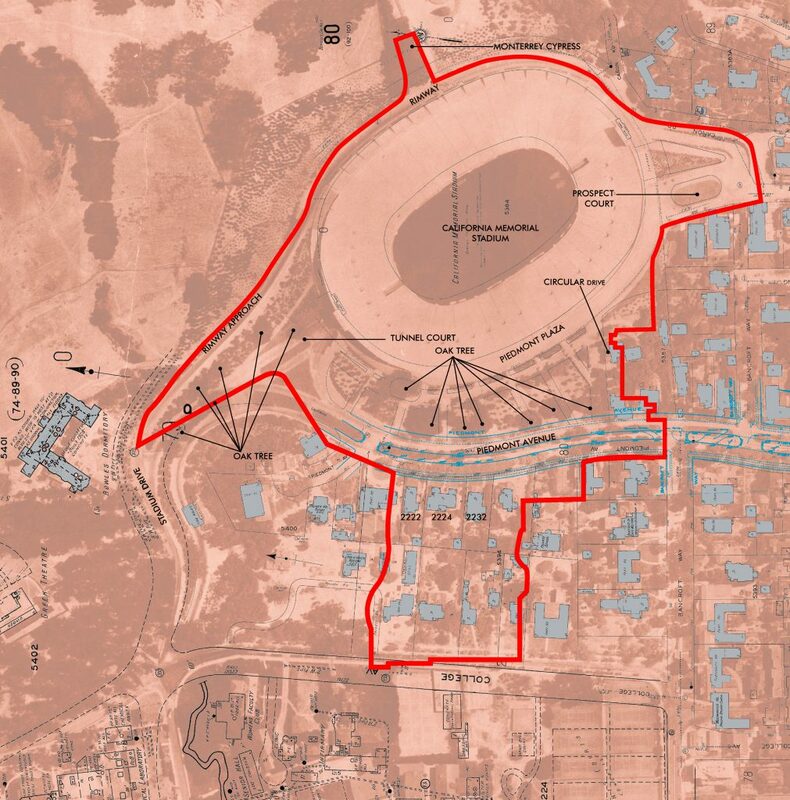 These plans provide valuable information, not only for the stadium’s seismic retrofit but also for future projects in the vicinity.